Stock # JG187683, 6.7L I6 Cummins Turbo Diesel Engine, Automatic, 10475 mi. 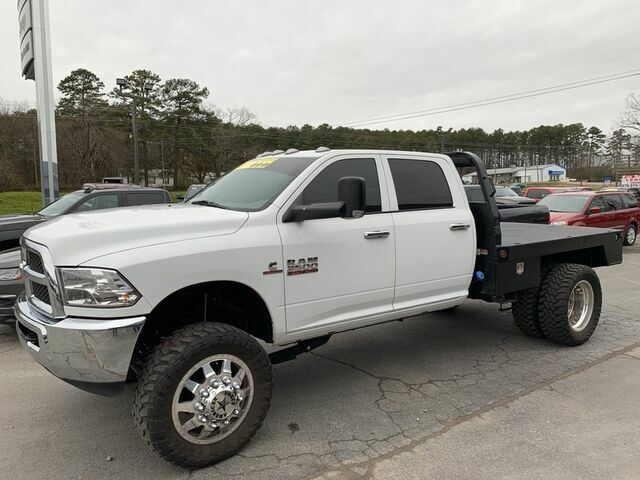 Contact Cowboy Chrysler Dodge Jeep Ram today for information on dozens of vehicles like this 2018 Ram 3500 Chassis Cab Tradesman. This Ram truck is fully capable to handle a heavy load of work and fun. You deserve a vehicle designed for higher expectations. This Ram 3500 Chassis Cab delivers with a luxurious, well-appointed interior and world-class engineering. Take home this Ram 3500 Chassis Cab Tradesman, and you will have the power of 4WD. It's a great feature when you need to drive over tricky terrain or through inclement weather. Based on the superb condition of this vehicle, along with the options and color, this Ram 3500 Chassis Cab Tradesman is sure to sell fast.